My must haves reads for summer are usually an occasional romance/chick lit type book (my favourites are the Confessions of a Shopaholic series, although this year I’m eyeing up Lola and the Boy Next Door), catching up on series that I LOVE (The Lunar Chronicles, The Mortal Instruments, Days of Blood and Starlight and The Caster Chronicles and re-reading old favourites (The Harry Potter Series and The Fairyland Series). For this challenge we will be redesigning covers of books. I was never really drawn to the fault in our stars cover, so I thought I’d have a go at changing it. What do you guys think? I love Sophie Kinsella and Stephanie Perkins too! 😀 Remember Me? is part of my to-read for the read-a-thon. 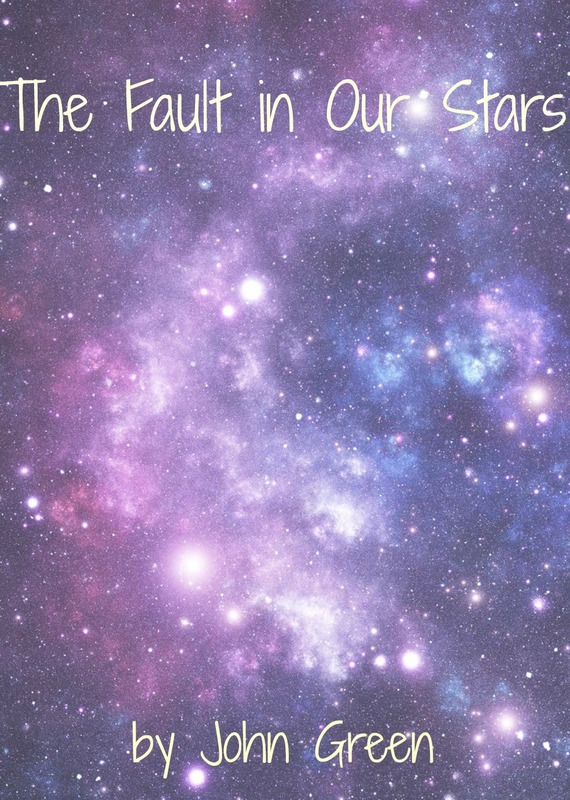 Nice re-do of TFIOS cover! I SO approve of your TBR list. Lola and the Boy Next Door NEEDS to be read, Days of Blood & Starlight too. And read Scarlet too, you won’t regret it. Ooh I like you idea!!! I am SO tempted to nab Lola and the boy next door before my holiday! Awesome list–completely agree with catching up on series and lighthearted and fun reads. 🙂 Great job on the cover!! I have got to start the Lola series! me too – it seems SO good! I love your cover redo! It seems so fitting for the The Fault in Our Stars. I love that you used stars for your cover re-do! 😀 It looks so pretty!